The trend of hash tags (#) started out harmlessly. They first originated on the social networking site Twitter in the year 2009, followed by Instagram in the year 2011 and finally on Facebook in the year 2013. However, with time hash tags have become a fashion, so much so that people have started using them in their regular conversations. And as is always the case with everything on the internet, its time for hash tags to face the repercussions. The video begins with the duo talking about mundane things like cookies and television shows, and as they proceed the number of hash tags just keeps on increasing, until their conversation sounds nothing less than gibberish. My personal favorites from the hash tags that they used are #PurpleIsTheNewBlack, #DebraDebra and #Lolololololololololol. Sounds hilarious isn’t it—#Rofl? But sadly this is the reality. With the previously harmless symbol infiltrating our daily conversations, this is exactly where the English language is headed—#Gibberish. While the hash tag users think it’s fashionable to speak like this, what they don’t realize is that they sound #stupid and #ridiculous. And while Fallon and Timberlake take a dig at these people, the inventor of hash tags Chris Messina feels #Ashamed. I think Messina would agree with me if I say that this video depicts what the future of communication is going to be like, the thought of which frankly threatens me. Not to mention that the evolution of the English language isn’t looking bright either. #Agree? Well, at least one person is sure to agree with me, Questlove, as he bursts onto the stage at the end of this video telling Fallon and Timber to “#Shut the f*** up!” #ThatsTheWayToGoYo. And that’s exactly what I would want to say to someone who talks in hashtags. What about you? 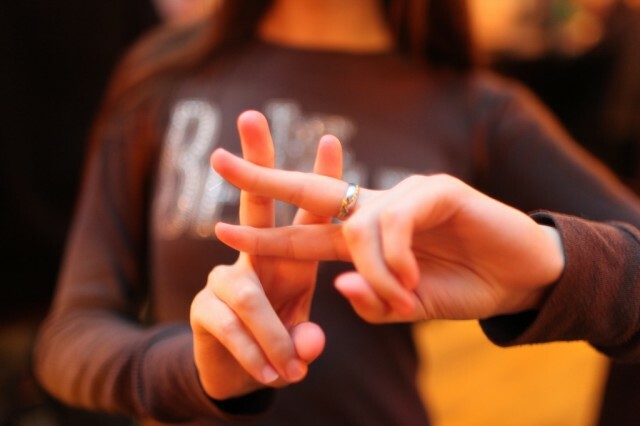 First the sms language, then the trend of using smilies—thanks to Facebook—and now the trend of hashtags, is there an end to it? Is this the end of regular conversation? Write your opinions in the comment box below.